*In Permanganate the Per means more charge (add +1 to manganate’s charge), not more oxygen as in perchlorate. 4. 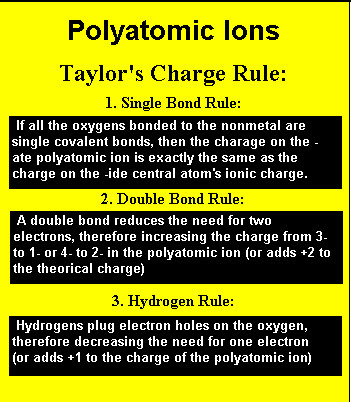 All transitional –ate Polyatomic Ions have a charge of 2- .